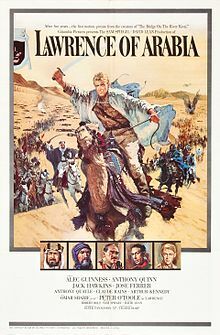 Lean planned to film in Aqaba and the archaeological site at Petra, which Lawrence had been fond of as a place of study. However, the production had to be moved to Spain due to cost and outbreaks of illness among the cast and crew before these scenes could be shot. The attack on Aqaba was reconstructed in a dried river bed in southern Spain (at 37°1′25″N 1°52′53″W﻿ / ﻿37.02361°N 1.88139°W﻿ / 37.02361; -1.88139); it consisted of more than 300 buildings and was meticulously based on the town's appearance in 1917. The execution of Gasim, the train attacks, and Deraa exteriors were filmed in the Almería region, with some of the filming being delayed because of a flash flood. The Sierra Nevada mountains filled in for Azrak, Lawrence's winter quarters. 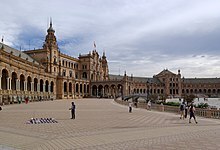 The city of Seville was used to represent Cairo, Jerusalem, and Damascus, with the appearance of Casa de Pilatos, the Alcázar of Seville, and the Plaza de España. All of the interiors were shot in Spain, including Lawrence's first meeting with Faisal and the scene in Auda's tent. The Tafas massacre was filmed in Ouarzazate, Morocco, with Moroccan army troops substituting for the Turkish army; however, Lean could not film as much as he wanted because the soldiers were uncooperative and impatient. 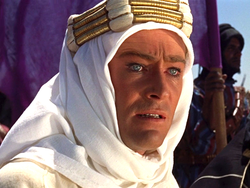 Wikimedia Commons has media related to Lawrence of Arabia (film).